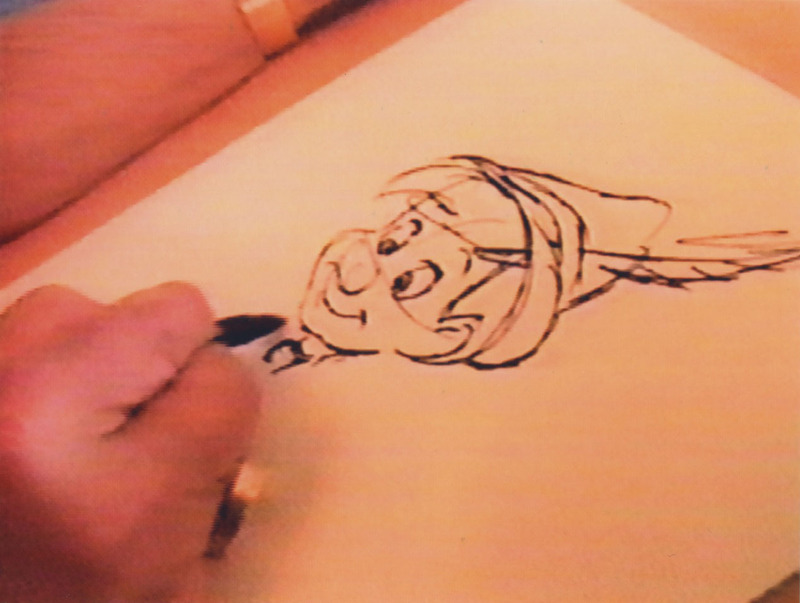 When you watch Milt draw some of his characters at the end of his episode from The Disney Family Album series you can't help but feel his intense concentration. He was interviewed and filmed in 1984 at home in his Condo, just north of San Francisco in Marin County. 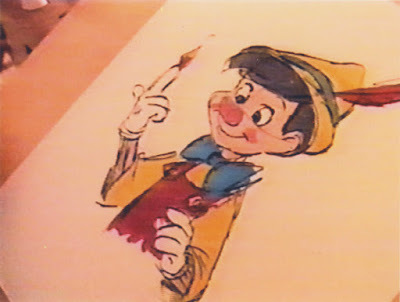 Milt hadn't drawn in several years, he left Disney in 1976. 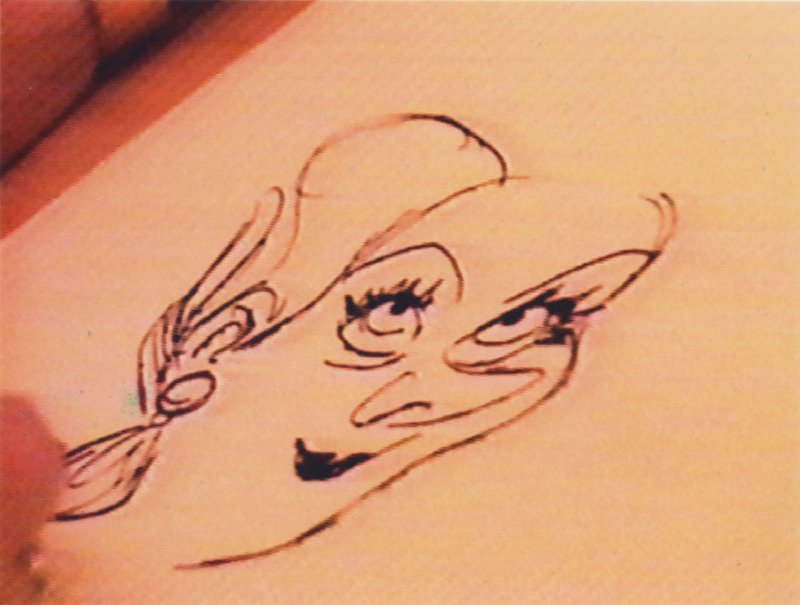 Nevertheless, full of self doubt feeling rusty, he gave in to the show's director Mike Bonifer and sketched in front of the camera. The footage is of historical importance, because it shows Milt's unorthodox way of drawing. He throws in a light circle for the main mass of the character's head, but then goes straight for details. The order in which he puts lines on paper is completely absurd. He finished drawing Pinocchio's head, before moving left to define his finger, which is on fire. The connecting arm was drawn in much later. 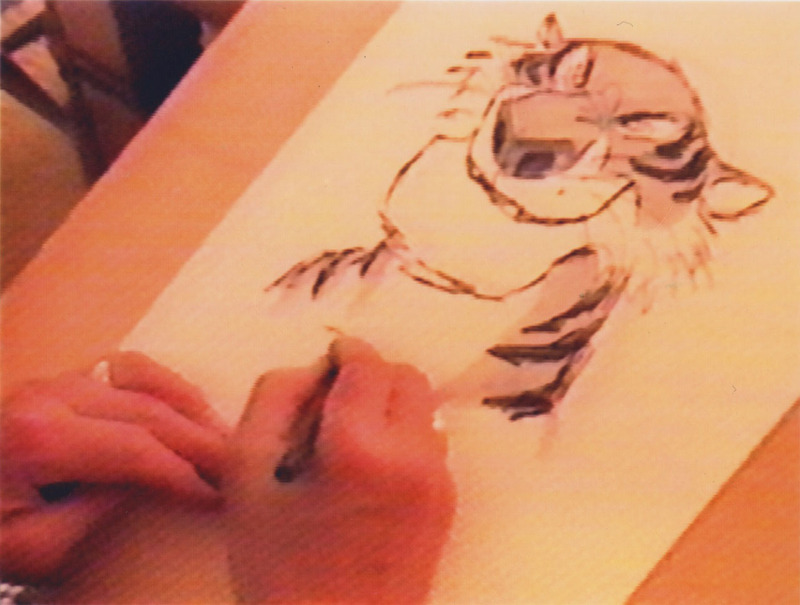 Milt's assistant Dave Michener told me that Milt stared at blank paper on his desk for a very long time before then quickly animating his scene. He literally saw poses projected on paper, which he then "traced". Watching him drawing is mesmerizing! 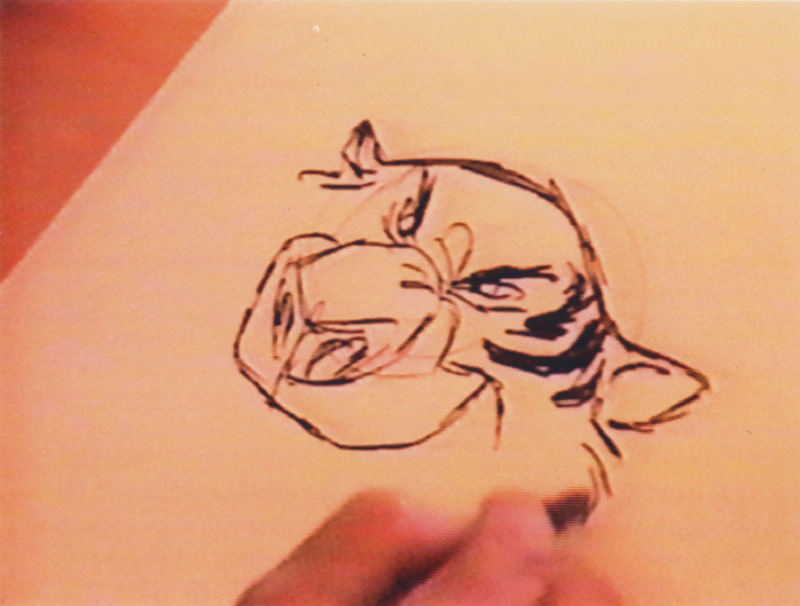 I just wanted that Shere Khan drawing! Where do you think that is or do you own it, Andreas? Those drawings should be with the director and producer of the show. I love his art of Milt Kahl, he's very talented the way he draw Bambi adolescent that's my favorite part. Would anyone happen to know what pen hes using here?, thanks a ton. I think I do the same.a sort of projection onto the paper. I always trust my first pass for feeling.before volume...On the flip side, I heard Brad Bird say that when Milt was doing Snoops for Rescuers, He came in one day, and Milt had done a pass over his roughs where it was all light bulb running around...no details yet. (one of the action scenes going up the stairs)So perhaps he did the first pass like in the video,All feeling. but when he saw he was losing his volumes over time, he went back, and tied it up himself. I tend to do that. whip it out quickly to keep it loose and feeling fresh, and then do my own tie down later with shapes and volumes.Even on still drawings. Milt's stuff always feels like that to me. He trusted his first pass best, but he was his own best assistant to keep it in check. It was more instinctual for him. I can't thank you enough for sharing this stuff. All Great. Another interesting observation...You get a sense of who Milt's favorite characters were to animate by the one's he draws for people so many years later. I would agree with his choices right down the line.Cheers! Much love for this Post. I noticed that with a lot of extremely talented draughstmen - the going straight to details. There is Kim Jung Gi, who goes for finished illustrations right away, but unlike most artists he explains his process. He says he starts his day by looking at references, looking, studying, but not drawing directly from them. Then as he's drawing he says he pictures everything contained in 3d perspective boxes. The results are completely astounding and for most people not reproducable. Then there are artists who were child prodigies like Yoshitaka Amano, who draw beyond what seems human ability. Not as technically correct as Kim Jung Gi, but MORE correct than technical correctness because of the artistic beauty in every single picture. Like he's drawing the art as art, with no in between stage, it's already not only a representation of something real, but artistic composition and everything is considered on a master level, and he also draws in the same way. He draws like the eye sees, he'll work on a piece of the eye, then move on to the hair, do some of that, move on to a chin, place a hand, go back to the eye and finish what he started there, then move on to the hand again and define more of that, etc. He bounces. And in an interview he said he even works on several pieces at once, bouncing from one artwork to another. This story reminds me of what I think Floyd Norman said during the Milt Kahl: The Animation Michelangelo trubute you were present for years back. He talked about going past Milt's office several times during the day and each time Milt was just looking out the window. Then he finally visited him at the end of the day and found out Milt had done a huge portion of the scene. 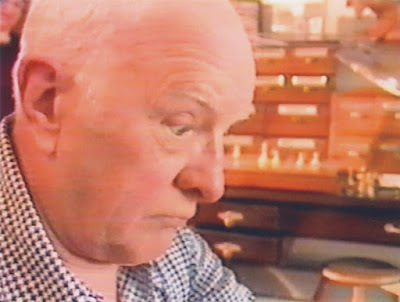 What he discovered later on is Milt would sit there making thumbnails and simply thinking about the scene for hours. But once he was ready he would start to draw in perfect design because it was already there in his head. 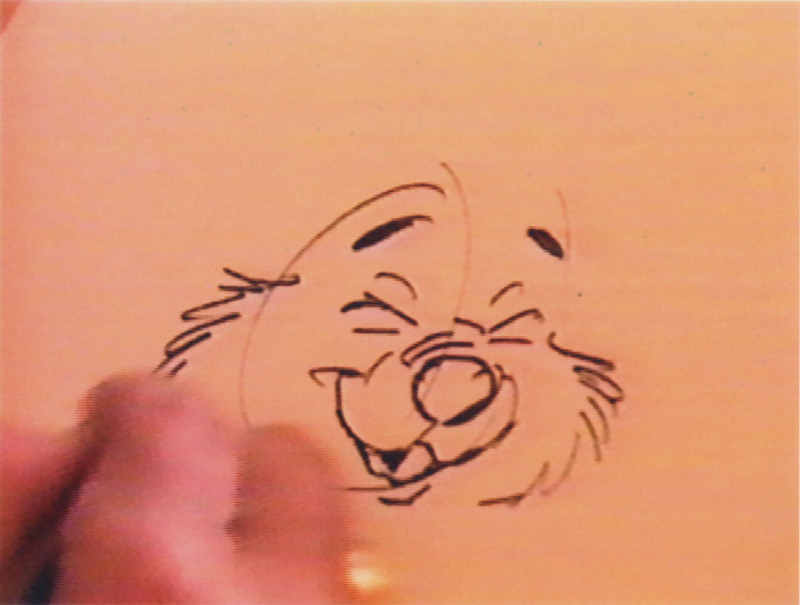 Now this story might be a little embellished, but it is a fascinating look at how he animated. What is even more interesting is when you compare that style with the way other greats like Ollie Johnson or Glen Keane drew. Both have admitted they really don't have any specific image when starting to animate. 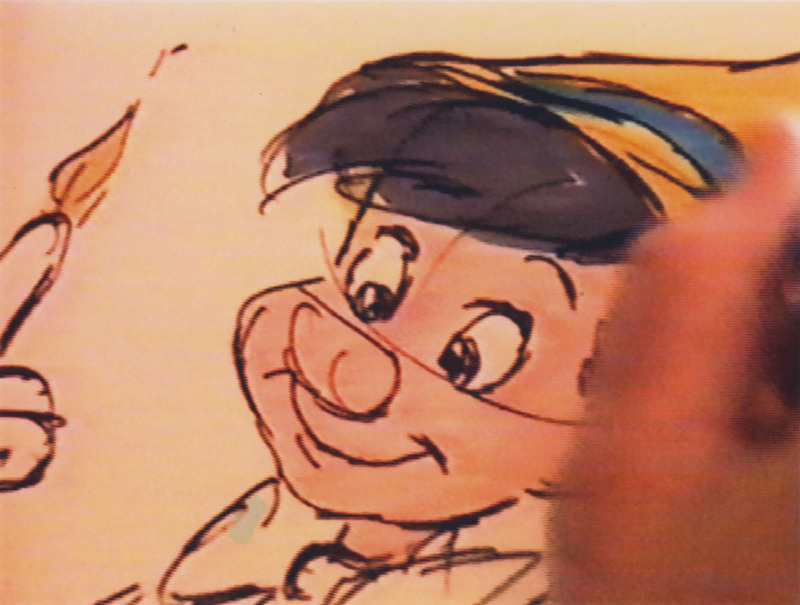 But as soon as they begin to put pencil to paper they begin to feel the character and draw baste on intuition, which sometimes is a much more messy process then Milt Kahl's, yet in the end get's a very similar result. Thanks again for sharing the story! Does anyone know what exact pen hes using here and what he would use for those rough pen sketches?, thanks.